This week I will be sharing with you the samples that I did for the Convention Display boards, using the Gingham Garden Suite of products. On this scrapbook page I used the Wildflower Meadow stamp, the Gingham Garden Designer Series paper and the Simply Pressed Clay and Clay molds. This is a terrific page. 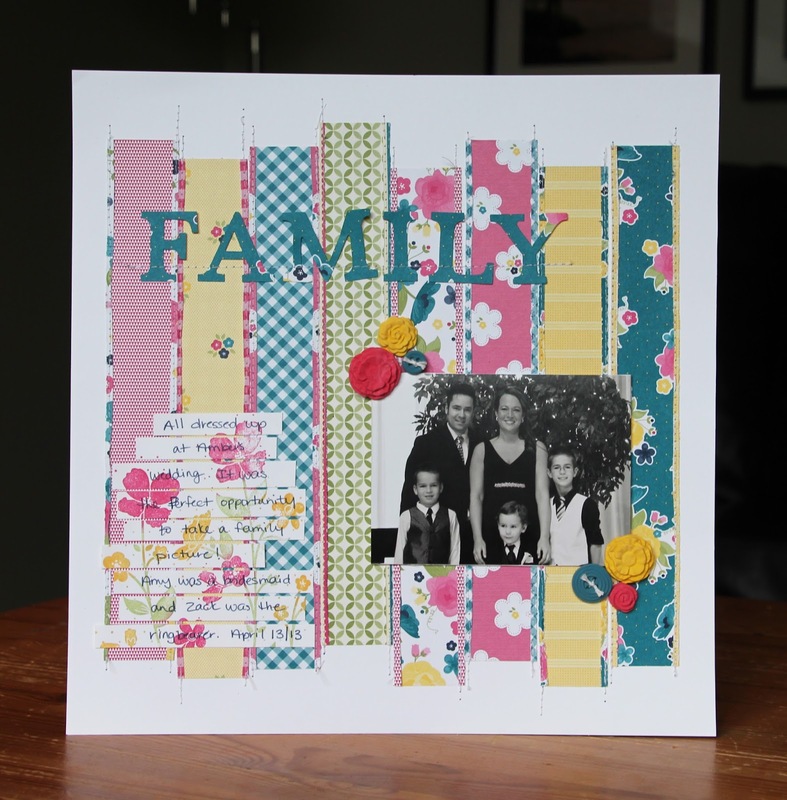 Love how you wrote over the flower stamp, and the arrangement of the patterned papers!